To develop full capacity within the Bigstone communities effectively and efficiently develop, administer and control programs and services that will achieve this vision. 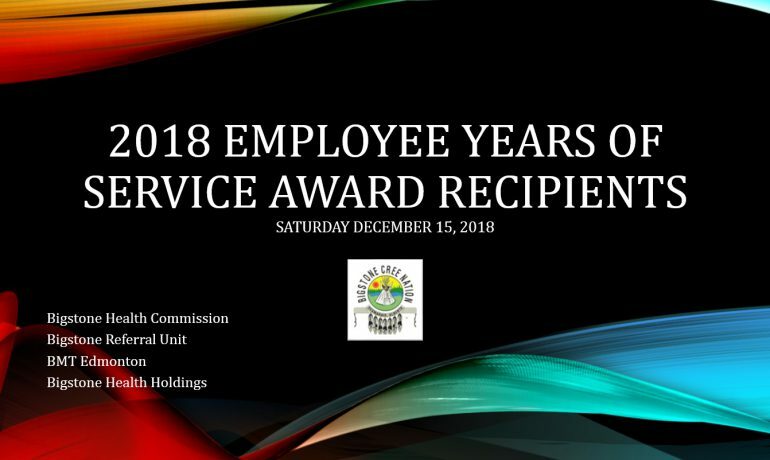 To revive, strengthen and protect members’ treaty right to health and to enhance the quality of life of members and others living in BIgstone Traditional lands. 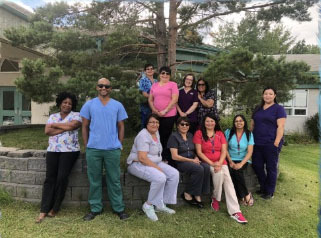 The Bigstone Health Center is dedicated to providing each and every community member with accessible health care programs designed to nourish the body and the mind. 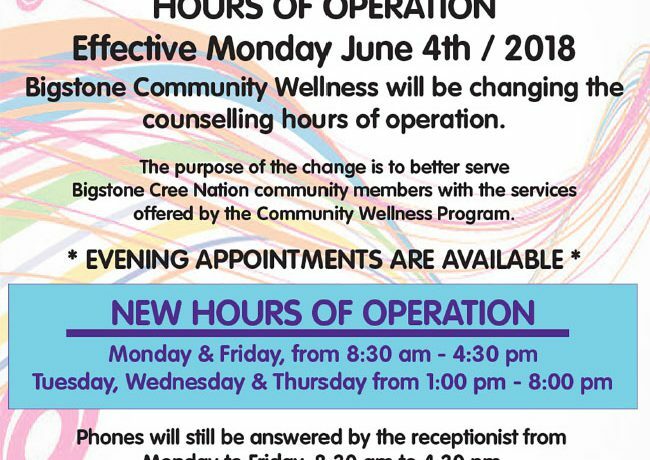 Bigstone Health’s home care program is available to Bigstone First Nation members of all ages. Our programs, which are designed around the values dignity and independence, fill the gap between personal/family resources and care needs. 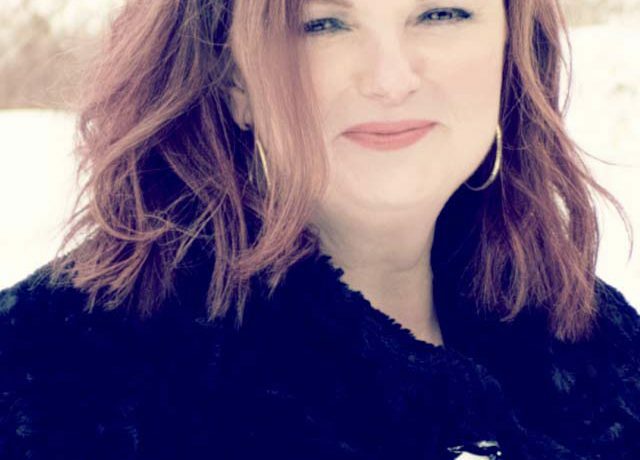 Our Mission at Bigstone Community Wellness is to provide professional guidance in supporting people on their journey to achieve balance in physical, emotional, spiritual and mental well-being. 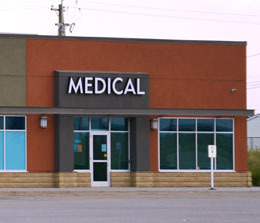 Our goal is to provide excellent health care to all our patients. To better serve the community Bigstone Referral offers a shuttle service between: Wabasca, Slave Lake and Edmonton. To provide a home like atmosphere for our elders, a place where they can experience carefree living, in a safe and secure environment. We strive to provide Health Promotion and Disease Prevention to the Community Members through the use of a functional Fitness Centre and Certified Specialty Fitness Leader. The object of the AHSOR is to provide First Nation children with the opportunity to develop their physical, emotional and social needs in a culturally relevant environment. For your convenience we offer a full service dispensary, and carry a wide selection of merchandise to accommodate your purchasing needs. Local ATB agency for fast, friendly service. At Wabasca Registries we provide a broad range of registry services, authorized by the government of Alberta. There's no topic more serious than your health! Be up to date with our tips, events, advisories and be aware. 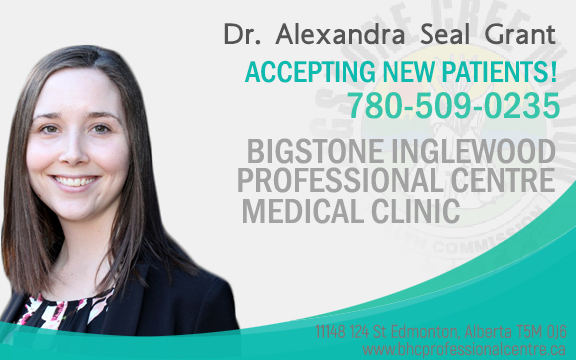 Bigstone Inglewood Professional Centre Medical Clinic | We are delighted to introduce! There's no topic more serious than your health! Be up to date with our tips, events, advisories and be aware.